Serge Flash was born Serge Fomitcheff in 1904 in Moscow, Russia. At the age of 8, Serge was adopted by the Andos Troupe, a group of Japanese jugglers and perch pole performers. Serge started working in the Andos Troupe as part of the perch pole act and then moved to the “Slide For Life”, sliding down an inclined tight wire. He hated both of these acts and was treated quite poorly by Mr. Andos, the troupe’s leader. 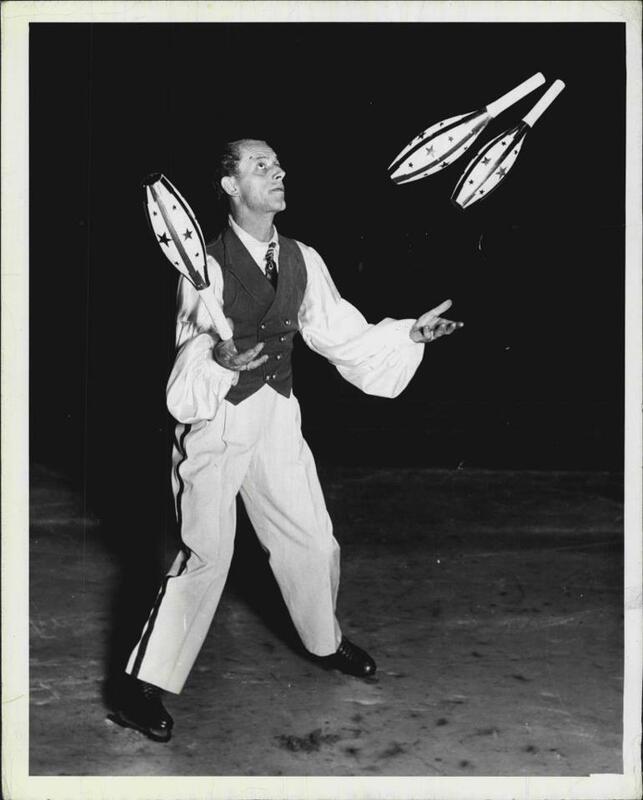 After a year or so, Serge decided that he’d like to copy the jugglers in the troupe and began practicing with their sticks in secret. 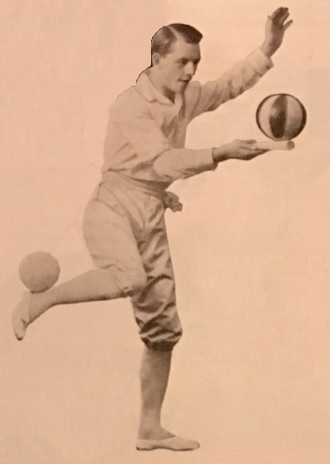 When Mr. Andos learned that Serge had been practicing, he ordered one of the troupe’s two jugglers to start to train the boy. 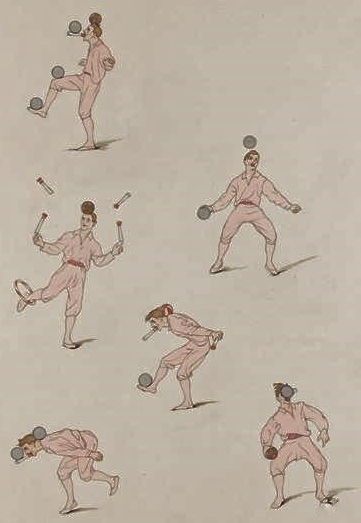 For the next four years, he practiced with the Japanese sticks until he could juggle five. He then started to work with small balls and was amazed at how easy they were in comparison. 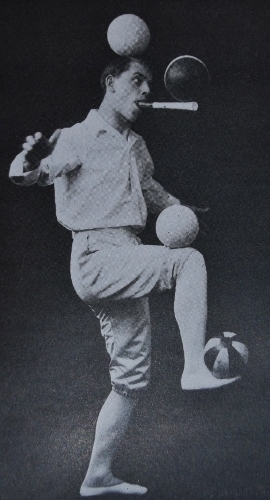 He then learned ball and mouth stick juggling, for which Serge would became famous. After seven years of performing with the Adnos Troupe, Serge quit the group because Mr. Adnos refused to buy Serge a new shirt, as his costume shirt was falling apart. 15 year old Serge went out on his own, finally free of the oppressive Mr. Andos. One of the first things that Serge did after leaving the Andos Troupe was to buy a seal, whom he trained to do balancing tricks. The seal, named Harry, performed with Serge for some time, with Serge copying Harry’s balancing tricks or vice versa. Harry was Serge’s closest friend and constant companion until someone fed the seal a fish that was too large, causing Harry to choke to death. Serge was so distraught that he suffered a nervous breakdown and considered quitting show business. He eventually decided to resume performing, but had to reinvent his act without his seal partner. At some time during the 1920s, Serge befriended Enrico Rastelli. The two practiced together and became good friends. 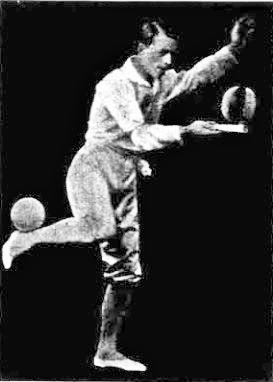 When Serge began performing 9 balls in his act, he received congratulations from abroad from Rastelli. Serge performed 9 balls for quite some time. He practiced the skill by attaching a net to a belt that he wore. 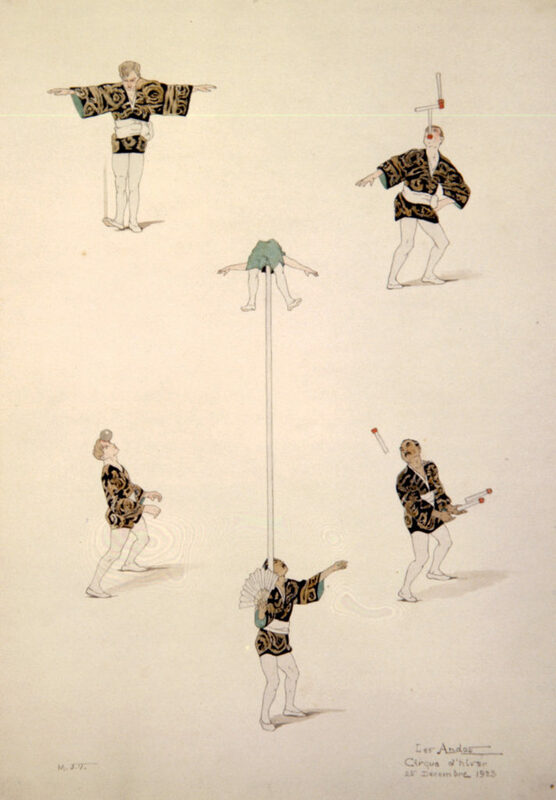 The outer parts of the net were attached to poles, so that when the juggler dropped, the balls would roll back to him. This allowed Serge to practice 9 balls without chasing them around the room and bending over repeatedly. 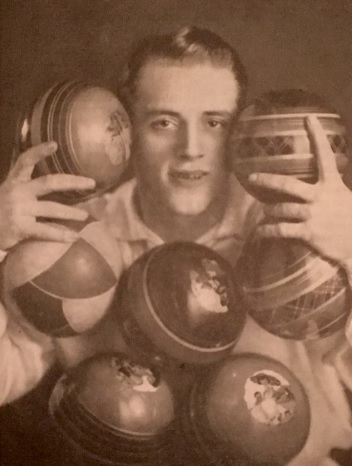 It took him nine years to learn 9 balls well enough to perform the feat. 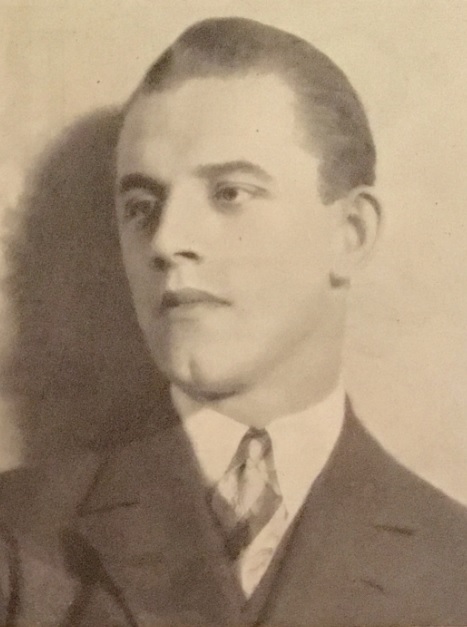 In 1926, shortly after the death of Harry the seal, Serge traveled the USA for the first time, appearing at the Regent Theater in New York City. 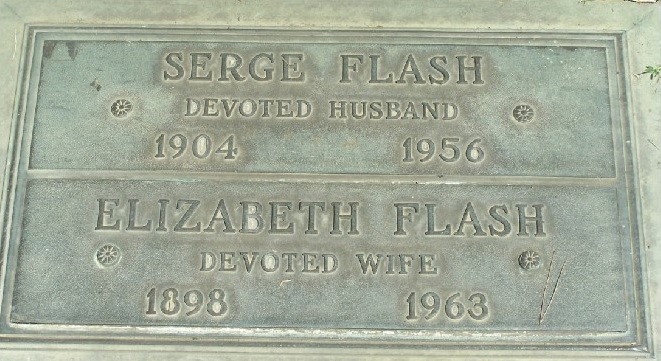 It was following his first show there that a fellow performer suggested that Serge take on “Flash” as his stage surname. Serge’s agent liked the sound of it as well and Serge Flash was then his name from that point on. As I stated earlier, Flash became famous for his ball and mouth stick work. He initially worked with a hard mouth stick, which resulted in the loss of several teeth. He then discovered a better method of making a mouth stick that fit his mouth and teeth better and had no more such issues until many years later. While performing his ball and mouth stick routine one night, he dropped the ball from the back of his neck to a blind heel kick. He intended to catch the ball on the mouth stick, but while it was in the air following the heel kick, a very loud clap of thunder shook the theater and Serge flinched, causing the ball to hit the mouth stick oddly. Two of his teeth fell to the stage as blood gushed from his mouth. You can see some of Serge’s ball and mouth stick work in the following video. The loss of teeth was not the only type of injury Serge Flash sustained during performance. 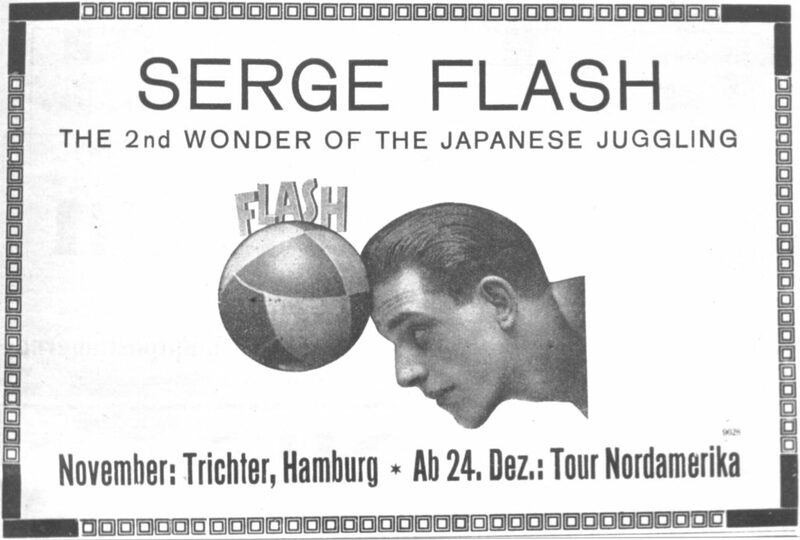 A popular part of Serge’s act featured the juggler catching a large ball thrown by an audience member on his mouth stick. While performing in Chicago, IL (USA), an audience member threw the ball far too short and Serge fell 15 feet into the orchestra pit below trying to catch the ball. He landed on his right foot, breaking three bones. Against doctor’s orders, Flash finished up the three weeks on the contract before taking time off to heal. In 1928, Serge married Betty Kirkbride, a talented musical comedy star and soprano. Betty assisted her husband in his act. The couple had one son, Gravin. Serge was meticulous regarding his props, not allowing anyone except for he and his wife to touch or even carry any of his props. He developed a practice of warming his large inflated balls with a kerosene heater prior to going on stage so that they would be very firm and bouncy. Serge was addicted to practicing his art, but this was not without consequences. He would often get up in the middle of the night and practice while on the road. This resulted in him being kicked out of at least six hotels and being banned from others, even those that catered to traveling performers. 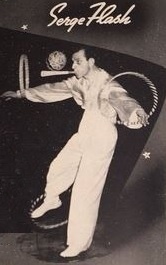 In 1941 and 1942, Serge Flash performed his juggling act with the Ice Capades, performing his act while skating around the ice rink. You can see Serge Flash’s ice skating act in the following video, which was filmed by Bobby Jule and is shown here publicly for the first time. Thanks Bobby for sharing this treasure. In 1937, Serge became a US citizen. At some point in the 1940s, Serge retired from juggling, but didn’t leave show business. He worked in the motion picture industry, becoming the head of the property department at Columbia Pictures Corporation In Los Angeles, California. He passed away from cancer in 1956. 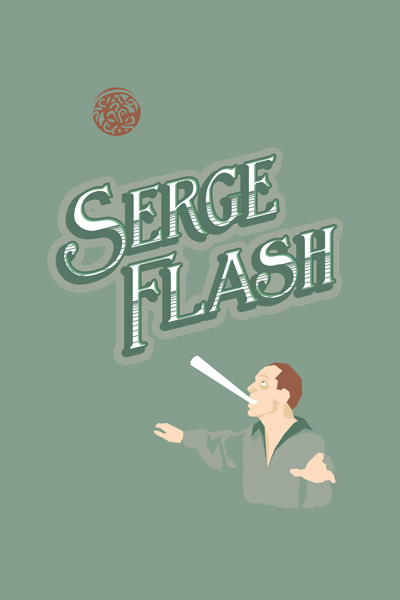 Serge Flash was the subject of one of Joculare’s wonderful posters created by Jason Horst. You can see this below and order it by clicking here.